Major League Soccer team Colorado Rapids have dismissed speculation linking the club with a move for Super Eagles star Victor Anichebe. The 2008 Beijing Olympics silver medalist is presently a free agent after terminating his contract with Chinese side Beijing Enterprises after he was told “not to try” and encouraged to fix matches. Anichebe trained with Colorado Rapids for a few days in September during a personal trip to the United States but it was only to maintain his fitness. 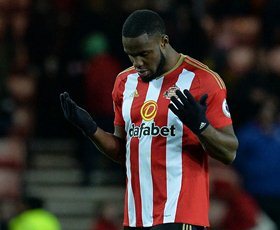 ''Victor Anichebe is not a target for the club. He trained with the team for a few days during a personal trip to the US to maintain fitness. Victor returned home last week,'' a member of the Rapids media team told MLS Soccer. Prior to Anichebe's move to China, he spent fourteen years of his career at Everton, West Brom and Sunderland. The Nigeria international played on the same Everton team as Colorado Rapids goalkeeper Tim Howard.